This column originally appeared in the Sacramento Bee on June 26, 1986. It is reprinted here with the author's permission. On Monday afternoon, a professional baseball player named Dave Kingman purchased a small rat for $2 in Kansas City, Mo. He brought it with him to the clubhouse as his team, the Oakland A's, contemplated their current 14-game losing streak on the road, and allowed the animal to run around the floor before the game. He said later he did that "just to loosen up the club," and he said he thought it worked. After loosening up the club, Kingman wrapped the rat in a box and sent it to a woman named Susan Fornoff in the press box, who covers the A's for the Sacramento Bee newspaper. He attached a label that said "My name is Sue. " Later, after the now-loosened A's had committed two errors and walked in the winning run, extending their losing streak to 15 games, Kingman said, ''You know me, I'm a practical jokester. That's my track record. This is a man's clubhouse. If someone can't take a simple joke, they shouldn't be in the game. Pure and simple . . . If you can't take it, move out. " And reading that, I began to think about Kingman's track record, and it occurred to me that it might be useful at this point in the season to consider what that record is, and how much worse off the A's would be if Dave were someplace else. For instance, a state hospital. The rat is not overpaid. Yes, you could argue that Kingman is a better long-ball hitter than the rat, and has a stronger arm. But then I would have to point out—not that it has to be pointed out to anybody who ever has watched Kingman play—that the rat has to have a better glove. And is probably useful in some way to medical research, and probably did not live with its mother until it hit middle age. And while it is not for me to say that the Oakland A's ought to replace Kingman with this animal, I do think that, assuming it's all right with Susan Fornoff, the A's ought to give it some thought. And I think it would be all right with Susan Fornoff. From the moment she began covering the A's, Kingman has made it clear he didn't want her around. He never has allowed her to interview him. On the occasion of his 400th career home run in August, he refused to answer anybody's questions until she left the area. He has insulted her and embarrassed her, he has tried to intimidate her. According to a story in yesterday's San Francisco Chronicle, earlier this year he asked one of the A's beat writers for "some dirt" on her. "Something I can have fun with," was the quote. For her part, Susan Fornoff said yesterday, "He's been so unbearable this year, I just want him to stay away from me. " In saying that, she was speaking for a lot of people, and a lot of years. The argument, on the surface, centers on Kingman's hatred of women reporters in the clubhouse. The same kind of thing went on in New York, when he was with the Mets and a reporter named Jane Gross was covering the team for the New York Times. Then there was a time back in Chicago when he hated any kind of reporter at all and quit talking to the press. The silence began, if memory serves, with a survey of his own teammates naming him the worst-dressed Cub. And while he wouldn't talk, he did sneak up behind a quiet, soft-spoken man named Don Friske, who covered baseball for the Arlington Heights Herald, and dump a bucket of ice water over his head. But that, as he said at the time, was a joke. Part of the track record. • A scout for the Los Angeles Dodgers who was responsible for getting Kingman a scholarship to Southern Cal, and never even was thanked. • The years he would not travel with his team, and took commercial flights with his mother instead. • Spring training in Florida, when he would stay with Mom at the Indian Springs Tennis Club, away from his team in St. Petersburg. A baseball writer I know remembers seeing him in there every day, walking around in cut-off shorts, with "some huge, vicious breed of dog." • And then there was the year he called in sick. He was still with the Cubs—I think he'd hit 48 home runs the year before—and the team set aside a day to give away Dave Kingman hats or T-shirts or something. Kingman came in that morning, drank a cup of coffee, took his therapy, and spent the afternoon peddling motorized water skis at a Chicago lakefront festival while his team played a baseball game. 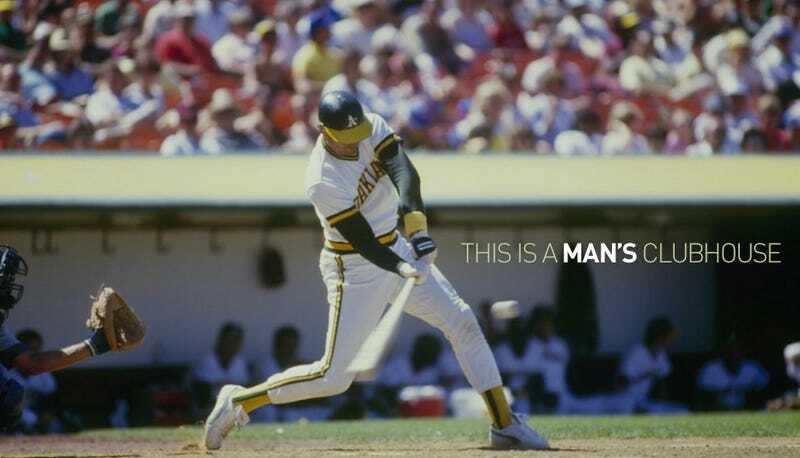 That is some of what Dave Kingman was, and some of what he is. And now this momma's boy ingrate is delivering gift-wrapped rats. And if we have learned anything, that cannot be allowed to continue. Mrs. Kingman, after all, delivered the first one, and look where it's led.